The following proposal was accepted to the 2018 MLA Annual Convention in New York City, NY. Panelists were selected by invitation and from an open CFP. I’m posting it here as an example of a successful MLA proposal. The study of the institutions and markets—in short, to borrow Sarah Brouillette’s recent formulation, the creative economies—of literature has gained a new priority in the past decade as questions of the autonomy of literature, art, and their creators under neoliberalism have been foregrounded by the most recent generation of scholars of postmodernism and contemporary literature. Picking up the threads of such theorists as Foucault and Bourdieu, for their interest in institutions’ constitutive place in the matrices of power, mainline literary criticism has studied institutions as varied as creative writing programs, the FBI and CIA, book-of-the-month clubs, writing communities, (inter)national literary prizes, canons, government-subsidized writing programs, and literary criticism itself. What studies of literary institutions share is an investment in decentering the romantic notion of the individual author-genius and refocusing the conversation around the many social, political, economic, and cultural organizations that effect literature’s coming-into-being. The need for scholarship on literary institutions has been perhaps most forcefully forwarded by Mark McGurl in The Program Era (Harvard UP, 2009), which traces the defining influence of creative writing MFA programs on the discourses of postwar American literature. 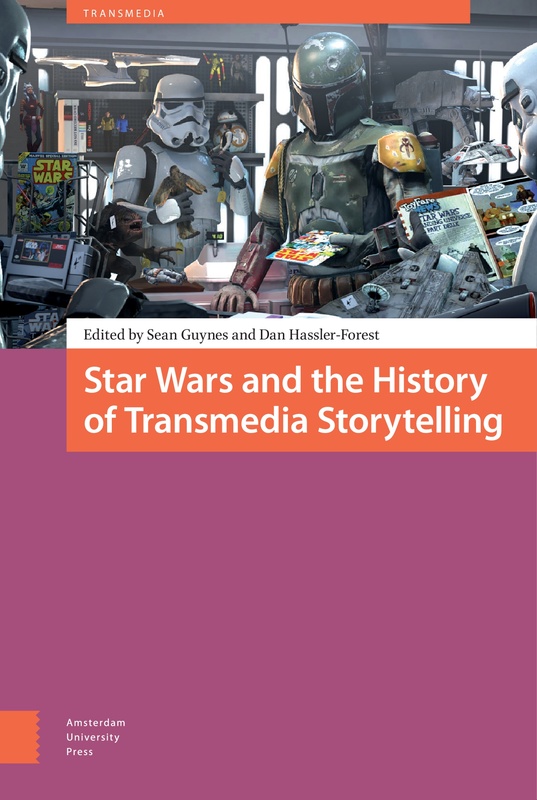 At the same time that McGurl’s call for institutional histories of literature has begun to be heeded, science fiction (SF) has become increasingly central to literary studies and to political and cultural modes of resistance in the current moment. This panel responds to the ever present need to understand the place of institutions in literary history and to the growing body of scholarship on SF in order to suggest ways of writing the institutional histories of the speculative genre. The panelists ask how institutions impacted the development of SF and how the relationships between SF, the institutions in which it was produced and circulated, and “mainstream” literary institutions were mediated by the social, political, and economic forces of cultural production. Focusing on three key figures—John Michel, Margaret Atwood, and Octavia Butler—across an eighty-year history of SF and its institutions, the panelists collectively advance our understanding of the shape of SF’s creative economies and its positions within the larger formations of the literary and cultural marketplace. Sean Guynes begins the session where SF begins: with the pulp magazines, their readers, and their writers. John Michel stands as a relative unknown compared to Atwood and Butler, but Michel’s significance to the history of SF, its institutions, and its imbrication with American cultural politics is as consequential as these better known authors. While Michel was an amateur SF writer in the 1930s, his greatest impact was as a leftist political agitator within early SF fandom. He authored a polarizing 1937 speech calling for SF writers, editors, and readers to embrace an internationalist vision of communist world-making in order to utilize the genre as a platform for defending “civilization” from the “barbarism” of anti-democratic forces rising in Europe. Guynes argues that Michel’s speech, “Mutation or Death,” called for SF to become an institution of political action, to work, as proletarian literature did, toward a leftist utopianism. For Michel, this utopianism emerged from the nexus of institutional relations linking the SF magazines; early fan clubs, fanzines, and conventions; and in a bohemian writing group, the Futurians, that Michel founded and that was populated with SF writers and Communist Party USA members. Although a typical history of American SF understands the early decades to be reflective of conservative, nationalist interests, it was in fact fraught with questions begging the political stakes of the genre and its institutions. Turning from the early decades of SF and its institutional politicization, Jeremy Rosen argues that current debates about the cultural status of SF and its relationship to “literary fiction” misrepresent the history of SF institutions, the genre’s marketplace success, and real differences between SF and “the literary,” in the latter’s specific sense. Focusing specifically on Margaret Atwood’s writing, Rosen critiques the application of metaphors of “ghettoization” and “gentrification” to shifting hierarchies of literary production. Literary fiction, he argues, is a genre constituted not by a particular form or content, but by its occupation of a prestigious position in the literary field. Insofar as much SF production has lacked prestige in relation to “high” literary production, the former’s impoverishment has only ever been a matter of its deficiency of symbolic capital, while SF has flourished in the marketplace. SF’s contemporary elevation, then, is revalorization more than gentrification. The paper concludes by reading Atwood’s Oryx and Crake to show that, while the “literary” is constituted by prestige not form, various formal features help a novel accrue prestige in the literary field as currently constituted. Atwood’s enviable position of critical acclaim and global marketplace success results from her ability to interweave the generic concerns and tropes of SF with the formal attributes that confer literary prestige; in short, to cross the boundaries of literary institutions and market. Skye Cervone concludes the session by linking the institutions of SF with the institutional forces of the academy itself. While meditating on the political and cultural formation of the canon, Cervone considers the recent acceptance of Octavia Butler into the literary canon and her increasing appearance in the mainstream of literary critical discourse. Cervone argues that Butler’s canonization is due, in part, to her novel Kindred, its status as neo-slave narrative, and its opening up of important questions regarding the links between patriarchy, racial slavery, women’s lives, and shifting biopolitical regimes of control. Butler’s incorporation into the institutions of literary criticism also symptomatizes the academy’s simultaneously strategic and political interest in marginalized narratives, genre-blending, and intersectional feminism—hallmarks of Butler’s writing. Keeping Butler’s own work in mind, Cervone argues that SF offers Butler, as a doubly othered black woman, the freedom to write outside the institutional and political frameworks of traditional literary production and to expand the authorial possibilities for black women writers. Writing across the history of SF, this session offers ways to think the significance of genre and institutions in contemporary debates about the politics of the creative economies of literary production and of academic discourse itself.